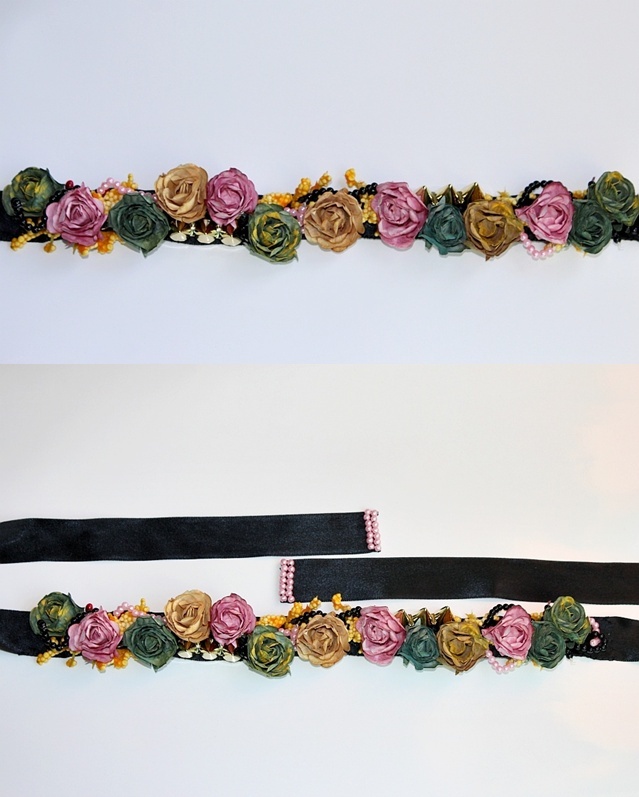 This belt/headband (multifunctional accessory) is my latest creation - one that I worked a while to finish. I'm very happy with the result though. 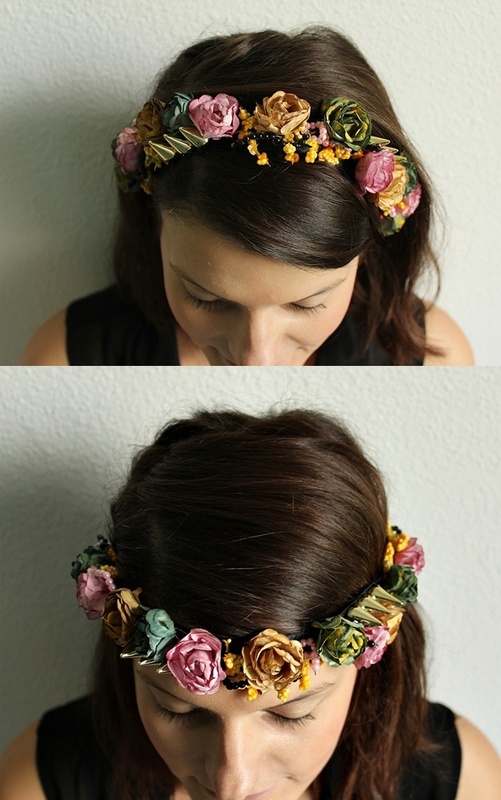 I think it looks like something an autumn fairy would wear, I imagine it would look fabulous on someone with long hair. 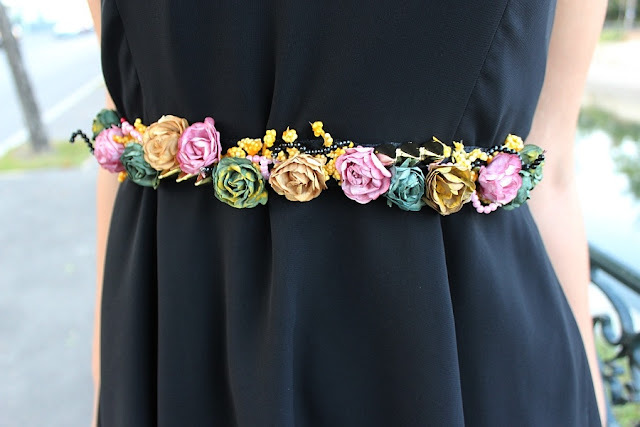 The base is a satin band on which I carefully applied soft gold spikes, colorful greenery, small beads and textile paper roses that I hand dyed in shades of green, pink and yellow - it's pretty much impossible to duplicate because of the the amount of details involved into making it. This is a wonderful little accessory to transform any outfit in something whimsical - at the end if the day we all need a dash of fairytale in our life. Check out more of my work in my Etsy Store! Descriere: Accesoriu multifunctional care poate fi purtat ca bentita, curea, chiar si colier - totul depinde de imaginatia fiecaruia. Este un accesoriu la care am lucrat o vreme si care, datorita multitudinii de elemente, nu poate fi duplicat decat ca idee (si cu exactitate aproximativa). Baza este o banda de saten cu latimea de 2,5 cm pe care am aplicat tinte aurii, crengute colorate, trandafiri din hartie textila (pe care i-am pictat manual in nuante de roz, verde si galben) si margele micute. 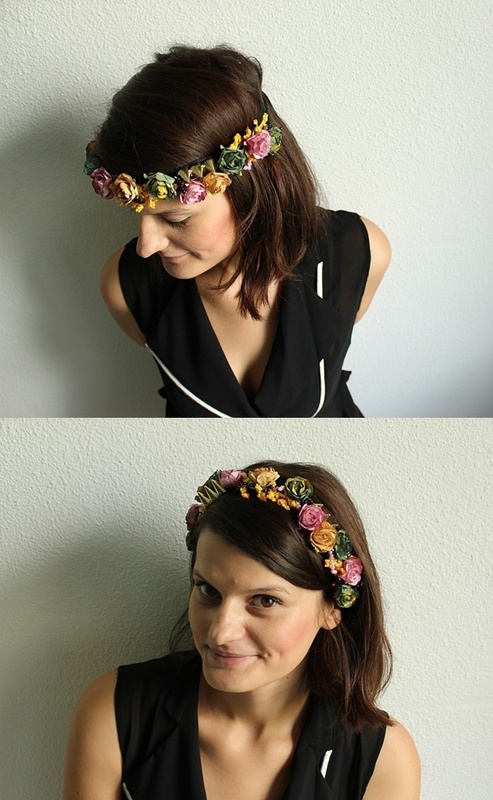 Terminatiile sunt brodate cu margele roz! Lumgime totala: 110 cm. More photos here! /Mai multe fotografii aici! Oh my God! Oh my...! This is soooooo romantic and lovely! Wow! Definitely looking forward to all your cute new looks! What a great garland / belt ! 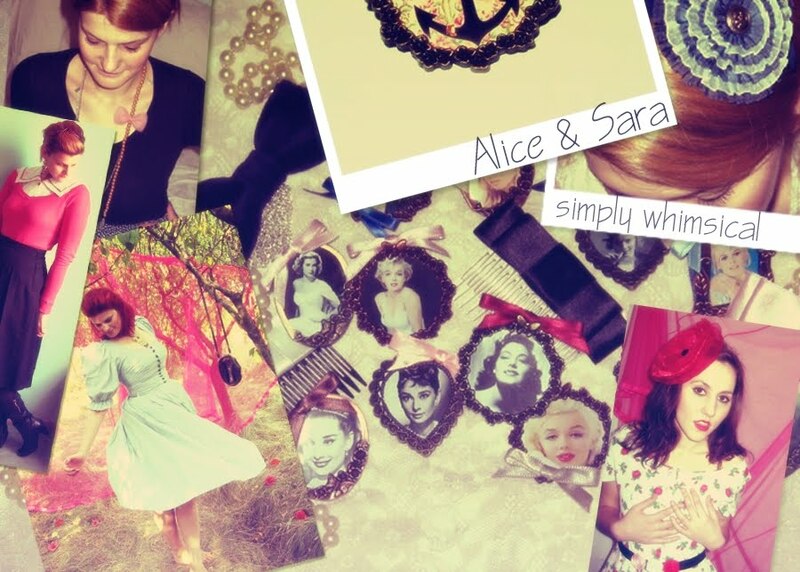 I love that , and I love your blog ! Tout est magnifique ! You're so beautiful ! E superba bentita, mai ales ca poate fi purtata pe cap si la talie. Imi plac foarte mult culorile si mi se pare ca da intr-un vintage, asa....foarte draguta!